Refresh cycles for industrial data communications equipment have traditionally been measured in decades rather than years. That’s partly because of the enormous capital investments involved, partly because so many industrial devices have had relatively modest speed and bandwidth requirements, and partly because legacy technologies like serial have long been prized for their rugged reliability. 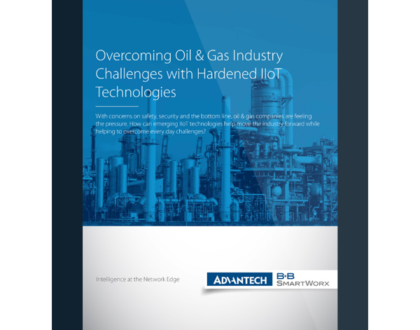 But rapid advances in areas like wireless communications, mobile computing and remote analytics are forcing industrial network engineers to become less conservative. As new data communications technologies mature, and as their costs rapidly drop, they present opportunities and efficiencies that can’t be ignored. A field technician who can read remote sensor data with a handheld device will be more productive than a technician who must plug into each device, every single time. A low-power wireless technology that has become reliable and resilient enough to do its job in difficult, real world environments can serve as a cable replacement for locations where providing AC power connections and stringing data cable would be impractical. Advanced analytics that can collect and interpret data from large numbers of network nodes in real time can make entire processes more efficient by predicting where, and when, preventative maintenance should be applied, cutting costs and virtually eliminating unplanned downtime. So the IT world and the industrial networking world are beginning to converge. One technology that is becoming increasingly popular in industrial applications is cellular data networking. Although industry has typically lagged behind in adopting TCP/IP protocols, the advantages of cellular data networking have proven to be too important to ignore. Cellular routers can create Internet connections anywhere there’s cellular service, with no need for expensive cable installations. They provide excellent bandwidth, even for video applications. TCP/IP lets them integrate easily with other systems and move data to in-house or cloud-based applications, anywhere on the planet. They can also be used for redundant backhaul. Where cable connections are available, a cellular router can function like any ordinary router, but with the ability to switching over to cellular mode if the wired connection fails. Cellular routers also serve as data aggregators. 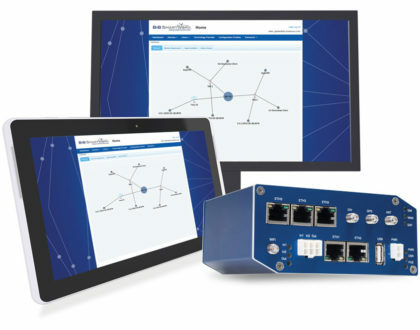 The best of them provide ports for Ethernet 10/100, RS-232/422/485, Modbus, and CNT (I/O), which lets them connect both local area networks and legacy devices, convert the various protocols to TCP/IP and send the data wherever it needs to go. Some cellular router models also contain Wi-Fi modules. Security is as important in industry as it is in the IT world, as wireless communications can be intercepted by anyone with a radio receiver. 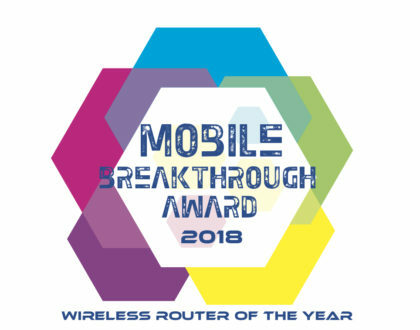 So cellular routers typically support a wide range of security options, like firewalls, IPSec (DES, 3DES, AES128, AES192, AES256, MD5, SHA1, DH2, DH5, pre-shared key, X.509), Open VPN (Compression – LZO, NAT Rules, Redirect Gateway, pre-shared secret, username / password, X.509), L2TP, GRE, and IPSec + GRE. Virtual private networking (VPN) lets them use the cellular data networks as securely as if they were proprietary infrastructure. Some cellular routers contain modules that support 802.15.4e wireless mesh networks. 802.15.4e mesh networks can provide up to 99.999% wireless connectivity, even in the most demanding RF environments. They do it by providing redundant routing to a cellular router that serves as the network gateway. Every node in a mesh network has the same routing capabilities. Each node is able to receive data from any other network node that is within range, and to transmit data to any other network node that is within range. If one path to the network gateway fails, the network nodes will immediately detect it and reroute through another. Individual nodes make routing decisions based upon which other nodes are currently available, proximity to the network gateway, and current traffic load. This makes the network self-forming and self-healing, as no single node represents the only path to the gateway. This also makes mesh networks highly scalable, as devices can transmit data over long distances by passing data through intermediate devices to reach more distant ones, with no need for centralized control or a high-power transmitter/receiver that is able to communicate with all of the networked devices. 802.15.4e mesh networks make it quick and easy to wirelessly connect edge devices and assets, and to communicate their data for visualization, analytics or integration into business applications. The value to industry is obvious. The existing installed base of industrial data networking equipment is far too immense and far too valuable to be discarded. But cellular data networking doesn’t force anyone to replace expensive legacy equipment. Instead, it leverages those investments by giving existing devices new capabilities and letting them continue to do their jobs.